Vontron There is 1 product. 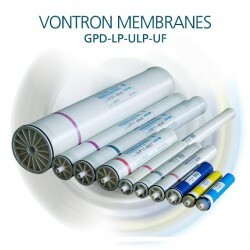 Vontron membranes from the latest technology in water purification by reverse osmosis. The strategic alliance of Nextfilt with Vontron Europe allows us to have the largest available stock of various membranes in Europe. Select the model Vontron above the block "Add to Cart".